Probably one of my last articles. 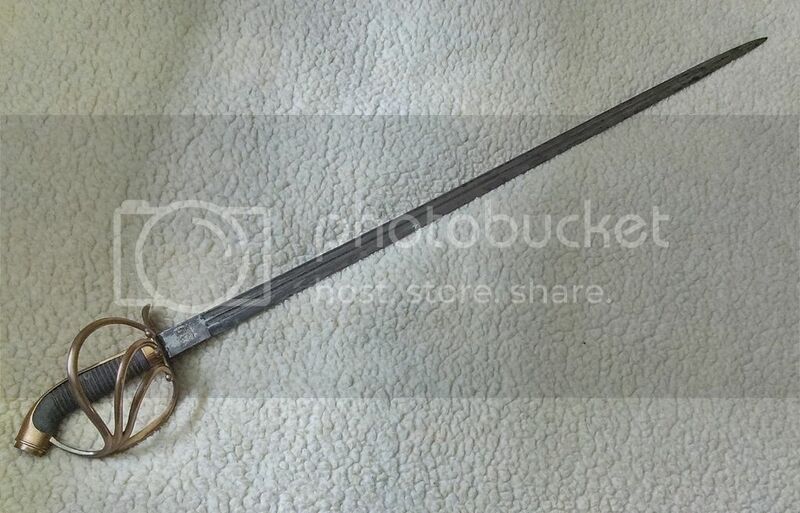 I wanted to do something about the 10 cuirassiers swords I have but studying them made me realize there were almost twice as much more models to talk about so not wanting to do things half, I decided to compile most of the swords styled after a specific pattern: the French 1802 heavy cavalry sword. The primary purpose of the heavy cavalry was, when used accordingly, to act as the decisive blow in battle: crushing the wavering enemy’s morale and routing it. The nature of this tactical role meant they were kept in reserves and deployed at the right moment to avoid wasting their numbers (they were not cheap and easy to train). That they were therefore precious, hardly expendable & feared above all else made them part of the elite cavalry. Small wonder then, that some of the most feared and efficient soldiers of the Napoleonic wars were the Emperor’s tall iron-clad cuirassiers. Sharing the glory of Napoleon, the cuirassiers carried many battle honors that made them famous, commanded by some of the best cavalry commanders (Nansouty, Espagne, D’Hautpoul, Kellerman) they were extremely dangerous and feared. 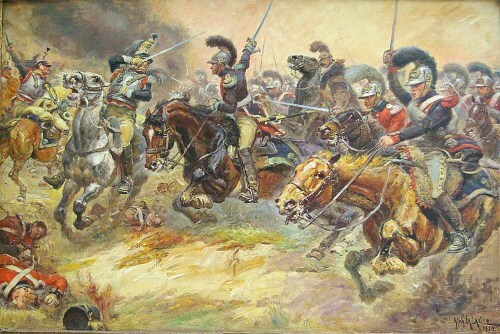 Prussia, Russia, Austria, some German states and Spain had their own cuirassiers but most were tactically ill-spent and wasted in battles; only the Prussians and the Russians made good use of their heavy cavalry but the French cuirassiers remain the most remembered ones. We can sometimes rate the impact & efficiency of some soldiers by the way their equipment is copied by allies and enemies and this is where French cuirassiers stand out: their cuirass, helmets and broadswords became a sort of fashion within international armies. 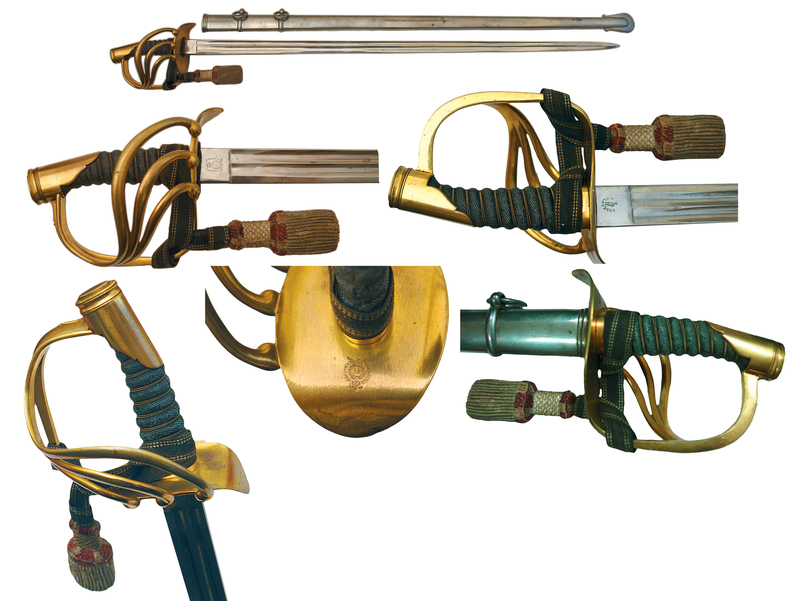 The swords themselves were to be the core of whole generations of continental swords of the 19th century. Prussia, Russia, Spain & Bavaria all made swords for cuirassiers that were directly inspired by this French model, let’s check them some of them. 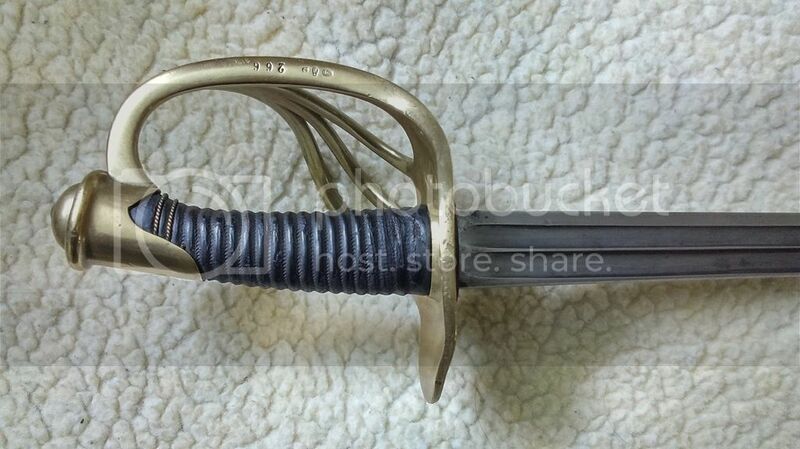 Very few swords have had such an enormous influence as the French AN IX sabre for Line cavalry. Equipped by some of the most iconic men of the Napoleonic wars, the cuirassiers & dragoons, it is a very prestigious piece for collectors and fetches very high prices. 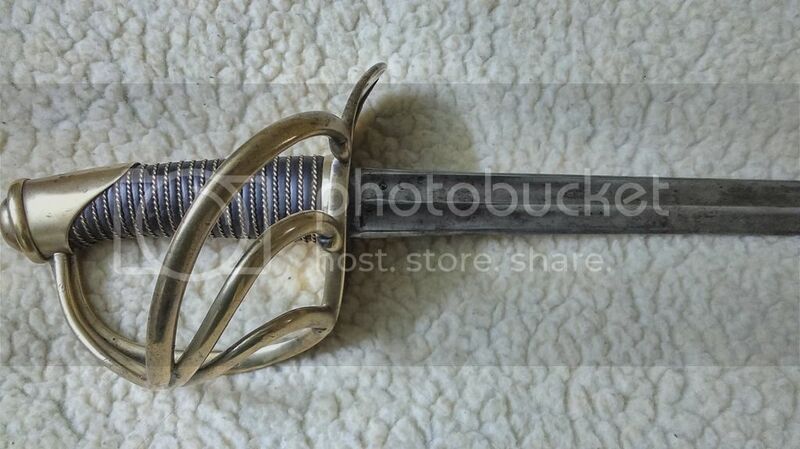 I thought of doing a presentation and explanation of the French cuirassier sword but the article by N Vasse is already available and complete so I recommend you all read it to have a better understanding of the model and its variants. 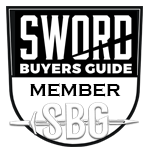 Besides Dave Kelly will also brief you with the details with his own upcoming article on French swords. Some important points though: there were 3 patterns made of this sword and the one most of us are familiar with is the last one, said An XIII (year 13) which had a spear point blade & a thinner, lighter scabbard. 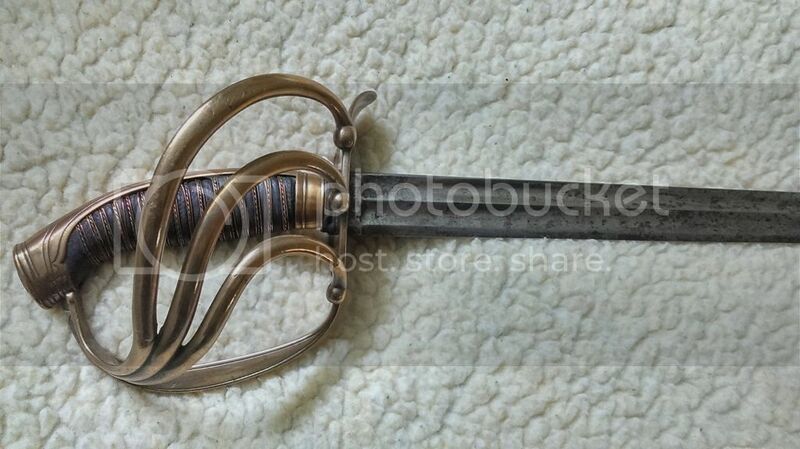 It is this 3rd model that was the model of all other European swords /pallasch. 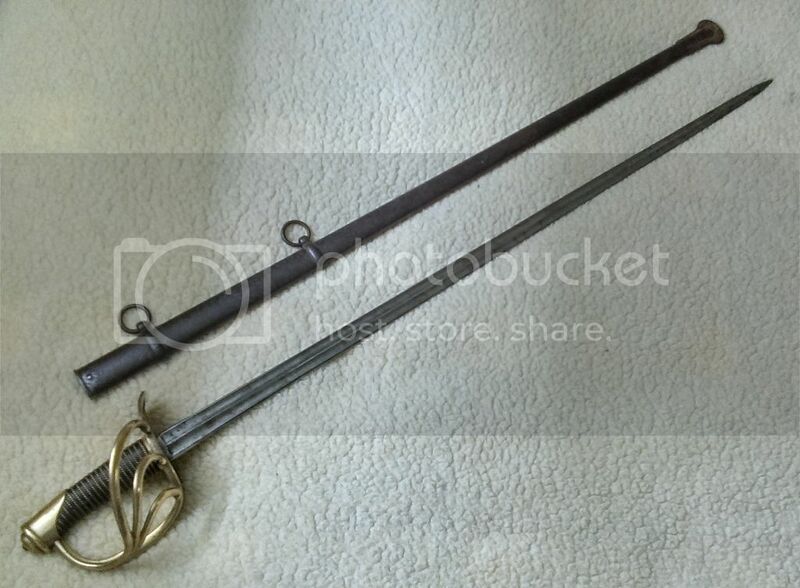 The design is what inspired all other swords described below : the hilt made of brass, covered by 3 outer branches that connected to the knuckle-bow & then to the barrel-shaped pommel; the grip was of blackened leather with twisted wire & reinforced with a brass ferrule. 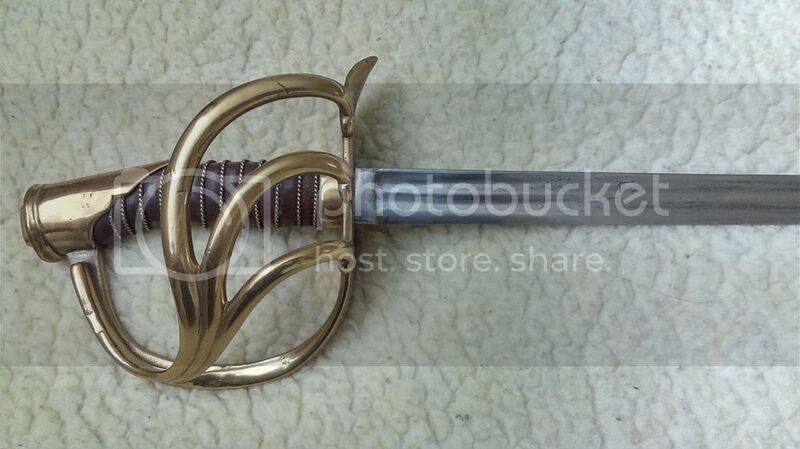 The scabbard was made of iron with a guitar shaped drag and 2 suspension rings. The blade was double fullered on each side and initially had a hatchet point that was later converted to a center/spear point somewhere after 1814. Since France controlled others nations directly since the early years of the Revolution (mainly Italy and the Netherlands), cuirassiers swords were made and distributed to the troops of these nations: thus you can find some broadswords stamped with Italian markings or Dutch pattern cuirassiers words (more about these below). 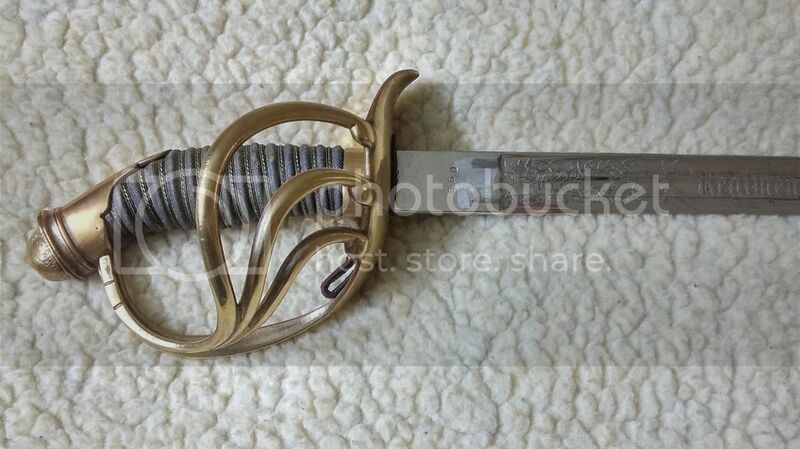 This model was designed almost immediately after the end of the French Empire and was the lighter, improved version of the 3rd model cuirassier sword. 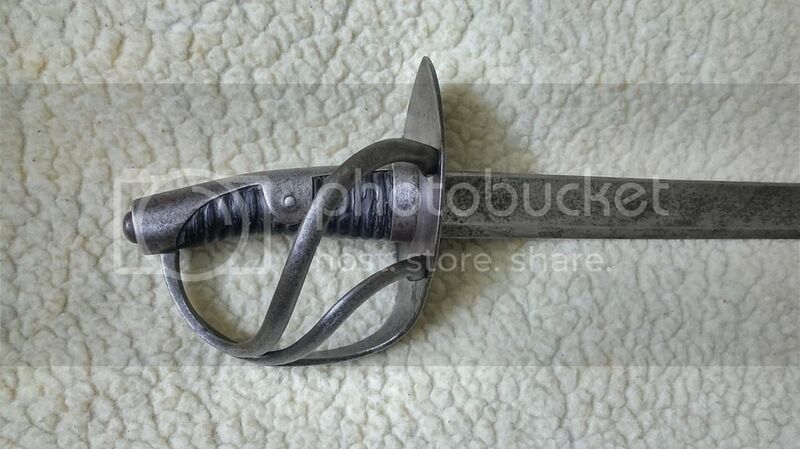 Like its predecessor it had a double-fuller blade, the same type of hand guard with 3 side bars connected to the knuckle-bow. 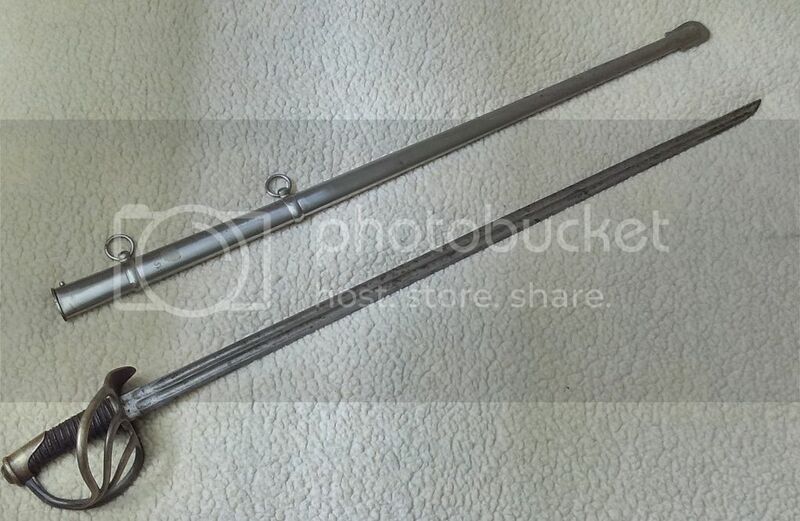 There were minor differences as the form of the quillon and the pommel cap that were redesigned, the grip was given more wire turns and the brass ferrule completely disappeared. 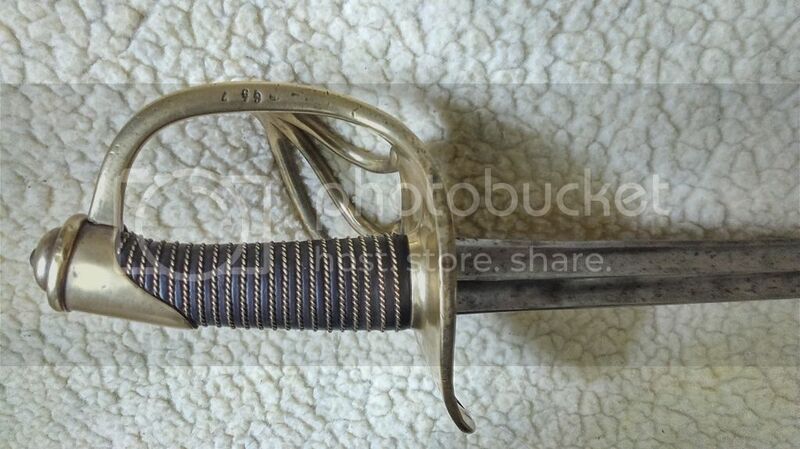 This sword didn’t last much; distribution started in the year 1819 but only 3 years later it was replaced by the model 1822 sword with curved blade, the one nicknamed ''bancal’’ (French for clumsy) so this sword saw very little action but it was still kept in the military surplus and some examples were used during the Franco-Prussian war and even WW1. 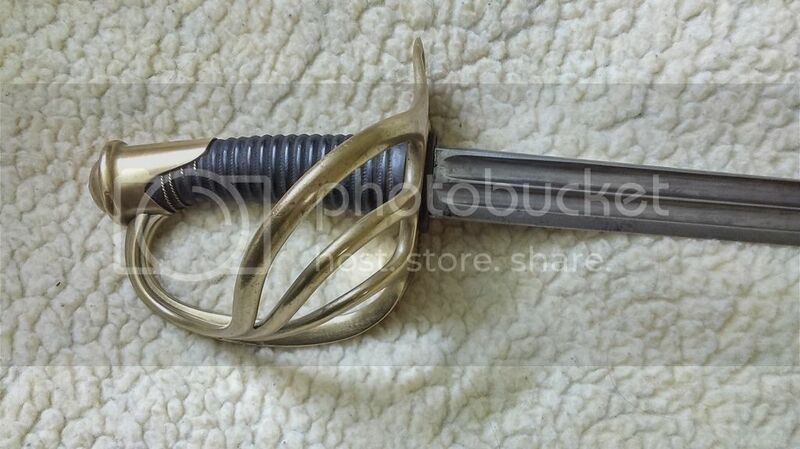 The 1822 sword wasn’t completely accepted by the heavy cavalrymen who still wanted their straight swords back; this was granted during the French 2nd Empire; perhaps in an attempt to reach back to the former glory of Napoleon’s empire. 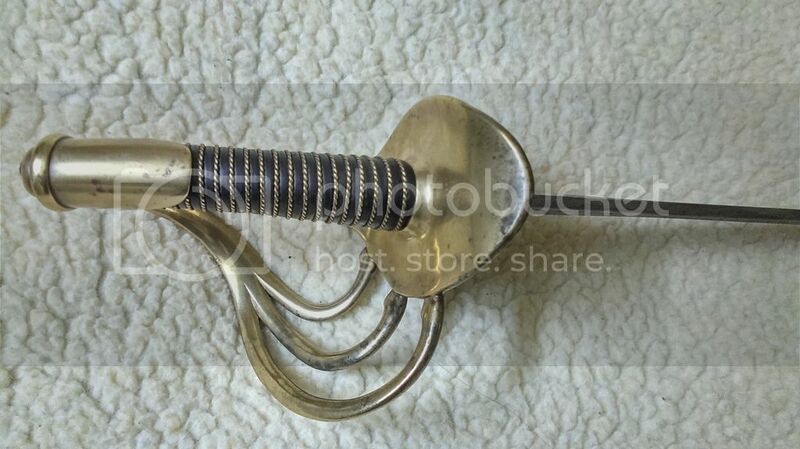 The model 1854 was little more than an upgrade of the 1816 model but the pommel cap was completely retooled and the 3 bars connected to the guard without having those decorative ‘’tear/loops’’at the junction. The blades were modified depending on the cavalry units: the heavy cavalry (carabiniers and cuirassiers) were given 39.5’’/100cm long blades whereas the regular/Line cavalry (dragoons) blades were 38’’/97cm. 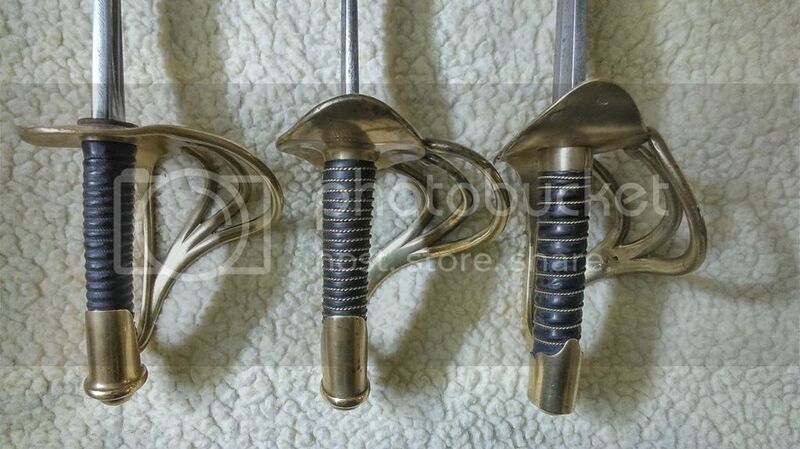 In 1882 horse saddlery was redesigned so that the sword could be fastened directly to it thus eliminating the double ring suspension scabbard system. 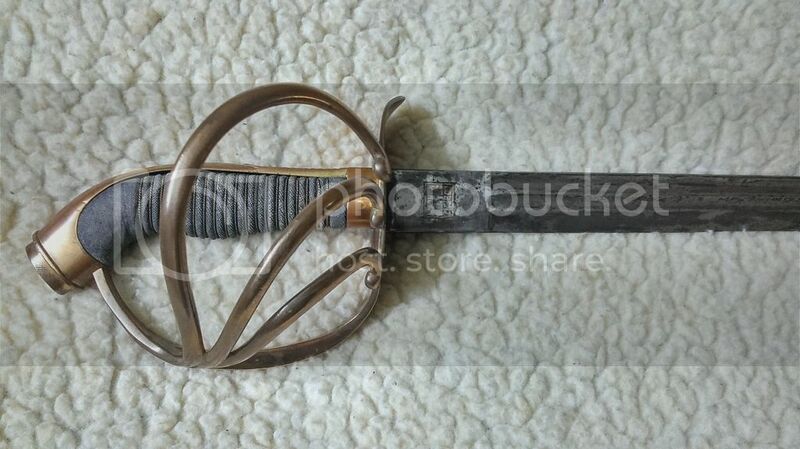 Most if not all cavalry scabbards were modified as a result and retained only one ring. Some spare 1854 hilts were also matched to singled fullered 1882 blades; on other cases 1854 double fullered blades were attached to 1882 hilts with 2 bars. Under French rule these nations received and made their own cuirassier swords and later models that were of the same form. When the French Empire disappeared both nations underwent separate ways and only the Belgian models continued a French influenced series of swords. 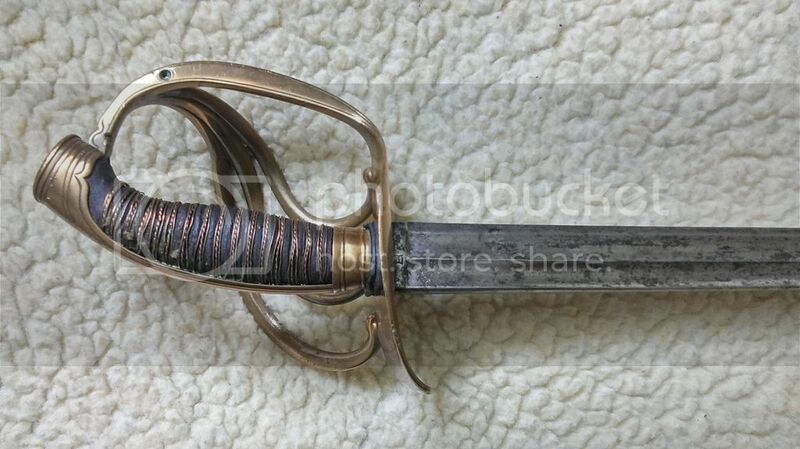 Dutch-Belgian cuirassier sword under French rule. The design was later used again in Belgium for the Belgian model 1852-73 which is very much the same thing but with a simplified pommel cap. At the same time the French rule dwindled in 1813-14, the Dutch started to break with Imperial influence and make sabres of different form reminiscent of the Russian 1809 model: most notably the type 2 model of 1814 which was made of iron rather than brass, with 2 sidebars, ear rivets, no wire grip and a conical pommel cap which was connected to the crossguard by a backstrap. 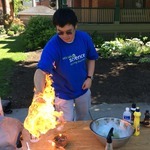 Lastly, the blade was single fullered. The Russians won the war against Napoleon and ended up with thousands of French swords captured or looted during the campaigns and equipped their cavalry with these. The cuirassiers were officially equipped with their own 1810 models but used captured French swords because supplies took long to reach the armies and it was not uncommon to use whatever weapons were available. 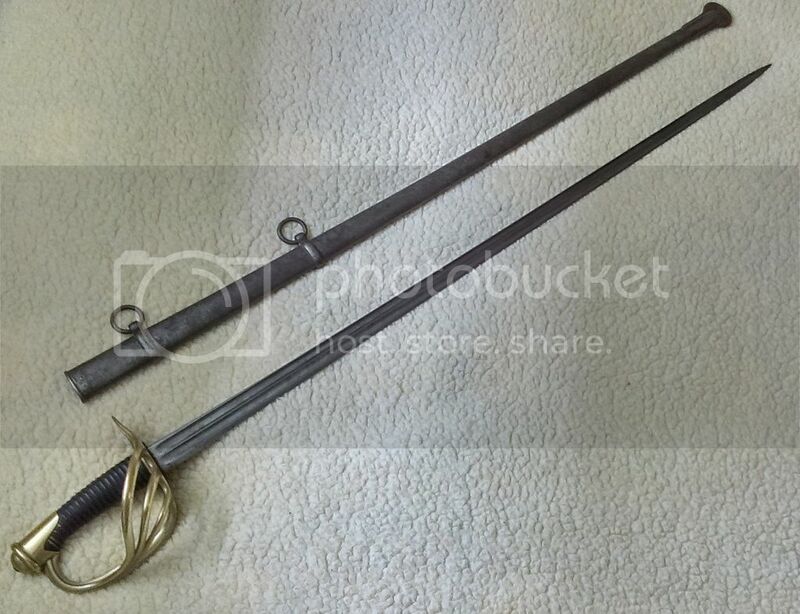 These French swords must have made some good impression because a decade later in 1825 Russia created its cavalry broadswords which was an exact copy on the French pattern. This model has seen much variations in the size and form of the parts but they all kept the basic French An XIII form. Some of these, intended for as prizes for gallantry and exclusive to order members, were made with brass grips and are stamped with the order badge (ultra rare and expensive!). 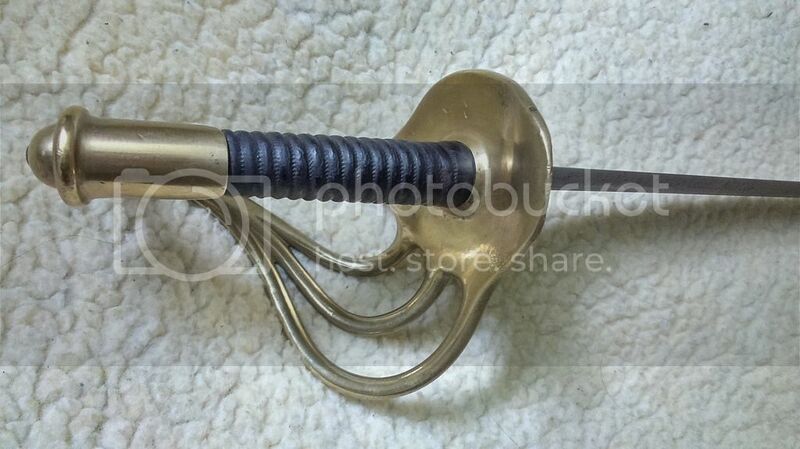 This 1826 model was the last the cuirassiers used until allegedly 1917 (parade accessory). One of the most efficient cavalry force since Frederick the Great, the Prussians made good use of their horses and weapons and their prestige is such that their swords are some of the most sought after by collectors. Just like Russia, Prussia also had a lot of French swords captured and made good use of them until 1820. After Napoleon’s first defeat in 1814 the Prussian cuirassiers were given the captured swords and cuirasses during a public parade in France. These captured swords were then distributed to the 5 senior heavy cavalry regiments under the denomination 1817 model which is nothing more than the 1802 French sword but stamped with Prussian markings. 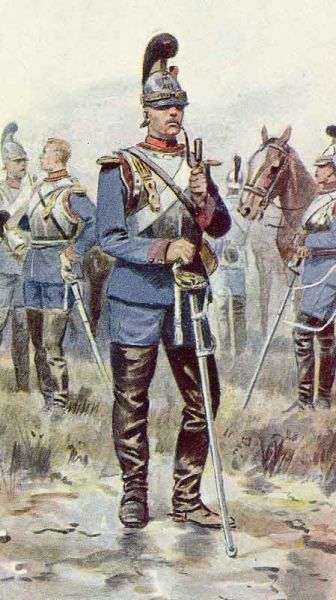 The cuirassier regiments that followed creation were given swords based on the Russian 1810 model. 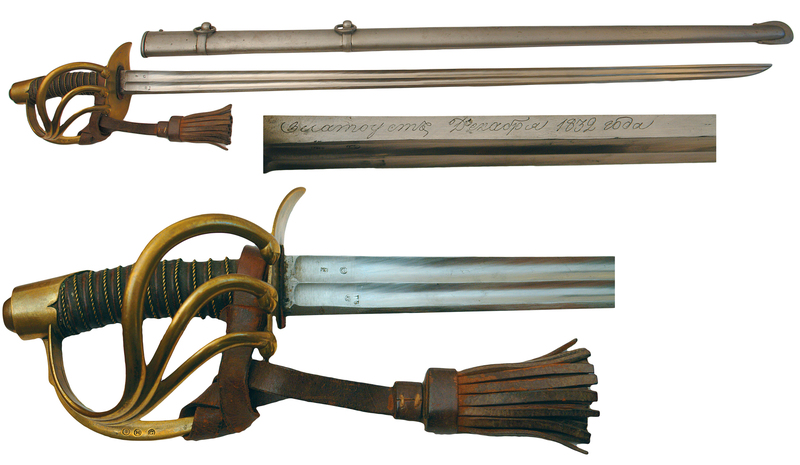 The Prussian 1819 cavalry sword was also obtained when the Prussians joined the Russians in their effort to overthrow French rule in 1813 and ended with large numbers of Russian swords. So in 1820's the Prussian cavalry was equipped with French and Russian based weapons, this system was kept until the 1850’s when both where replaced by the 1845 model which itself looks a lot like the French 1816 broadsword. This model was intended to replace all other existing patterns. 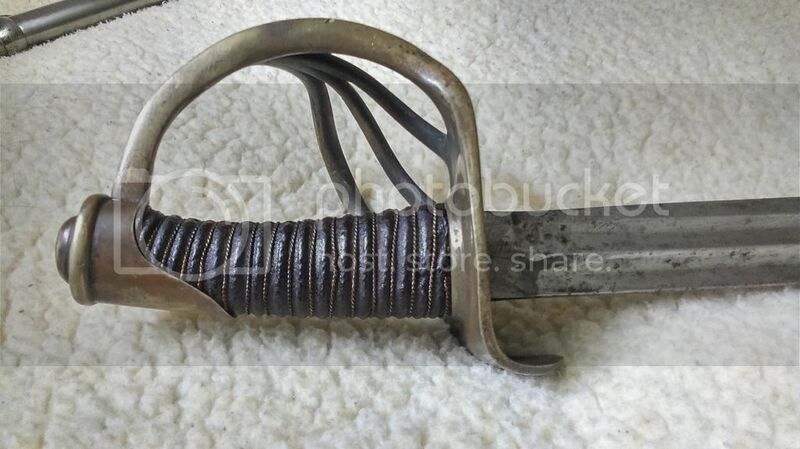 A bit of a mix between the French model 1816 and 1854, it retained the same hilt aspect except for a few changes with the branches that didn’t end in tear/loops when connecting to the crossguard. The blade also were different and had fullers within the fullers; lastly they still kept hatchet points. Elite Garde du Corps troopers were given a somewhat different pattern where the pommel cap was of more tubular form and which was exclusive to them. Why design and spend money on new models when you can (again!) use captured material instead? After the Franco-Prussian war of 1871 Prussia yet again found itself with plenty of captured French swords and rearmed its cuirassiers regiments with captured weapons. Sometime in 1854 the Prussians developed yet another model based on the French model of the same year but this time it was for officers only and the form was more Prussian with its slopped (fishskin) grip and pommel. In 1880 this sword had usually a slimmer and shorter blade; the whole form served as the basis for the conception of the IOD 1889. 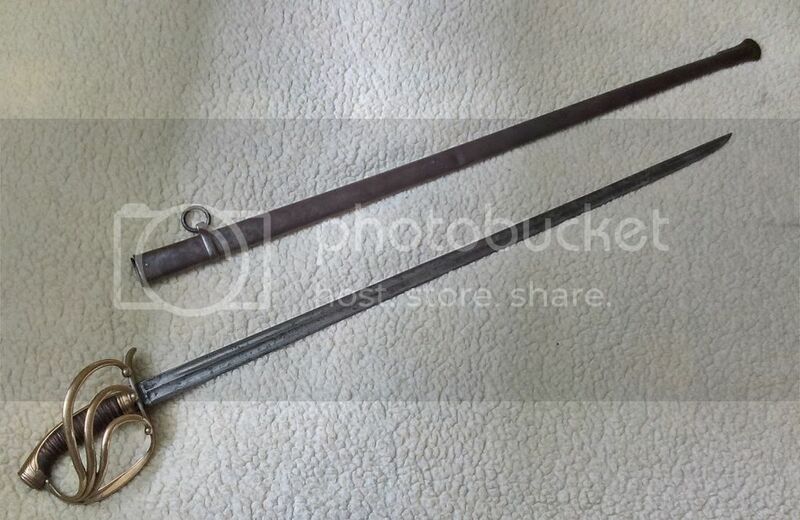 Once one of France’s closest allies, the Bavarian heavy cavalry models were directly inspired by the French HC sword having thus the same features as the rest of the models mentioned above but with changes made with the numbers of sidebars and the forms of their pommel caps. 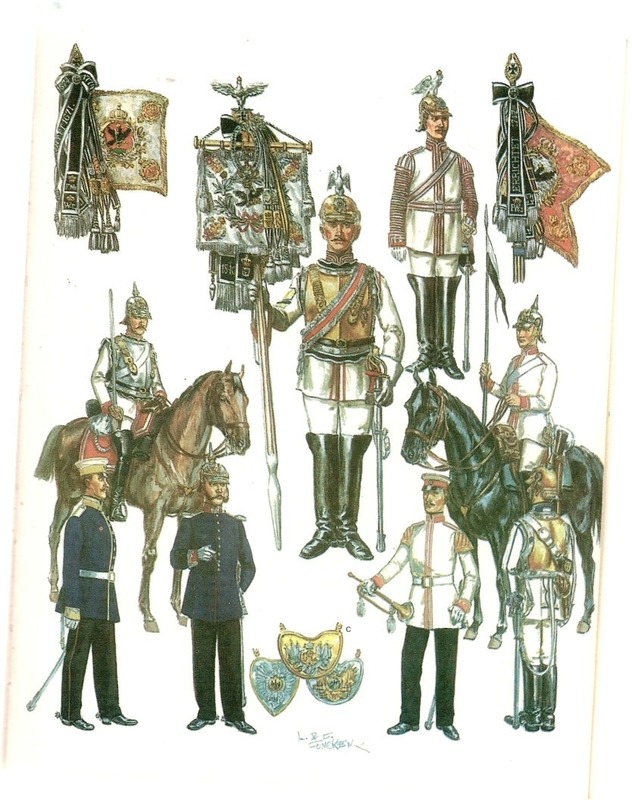 Bavaria had 2 kinds of heavy cavalry: the elite Garde du Corps and cuirassiers but after the reorganization in 1879 only 2 regiments of heavy cavalry called Schwere Reiter existed. This officer pattern displayed the typical Bavarian curved grip with flat pommel and backstrap that covered the whole grip. 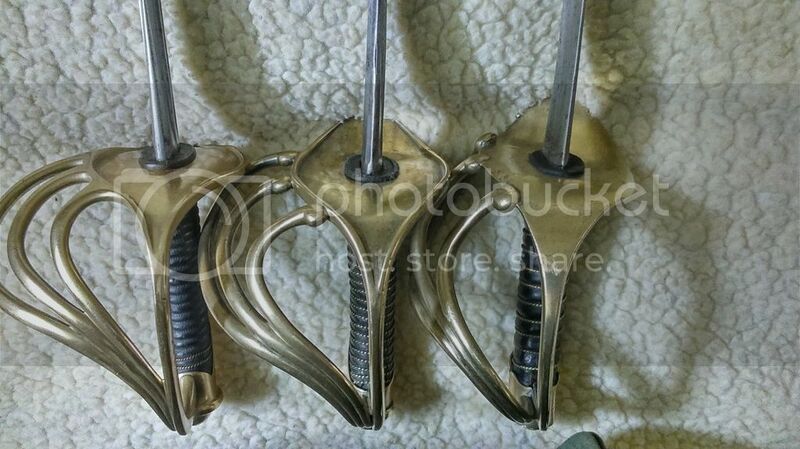 The knuckle bow was joined by 3 sidebars who ended with the French tear drops at the crossguard. The grip was made of wood covered in leather and wire turns, the ferrule completed the whole thing. 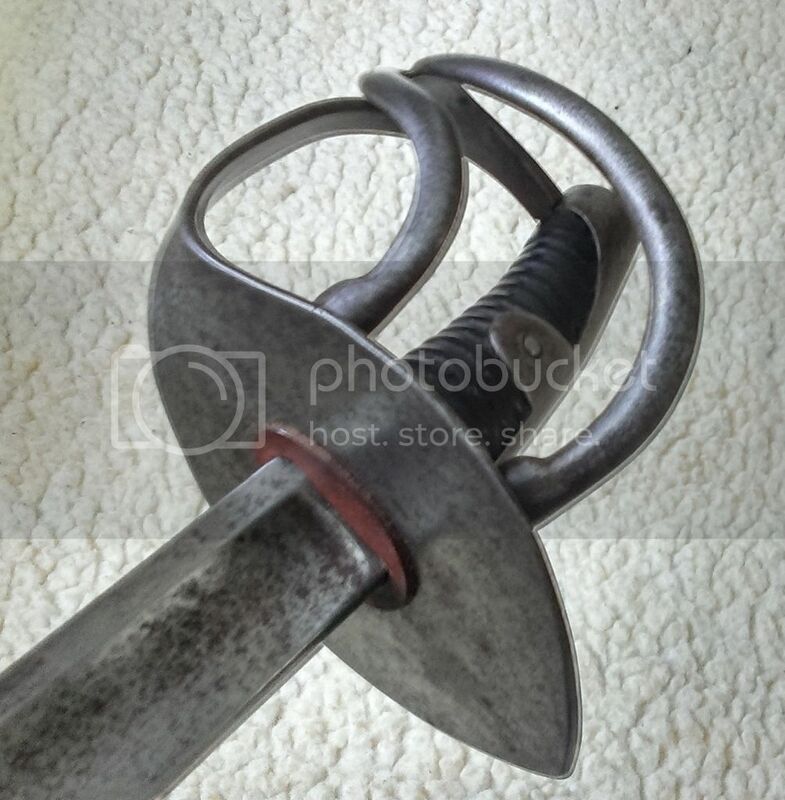 The straight double-fullered blade normally contained the Bavarian motto In Treue Fest (with steadfast faithfulness) and had a center/spear point. The model 1825 for Schwere Reiter officers were distinct from the cuirassier model in that the hilt had a specific form with a rounded backstrap (with an innovating thumb grip) pommel with peened cylinder cap. The grip was made of fishskin. This model followed the same principles as the model 1826 but the pommel cap was simplified and wasn't connected with a backstrap, this resembled closely the Prussian 1845 but with 2 sidebars rather than 3. 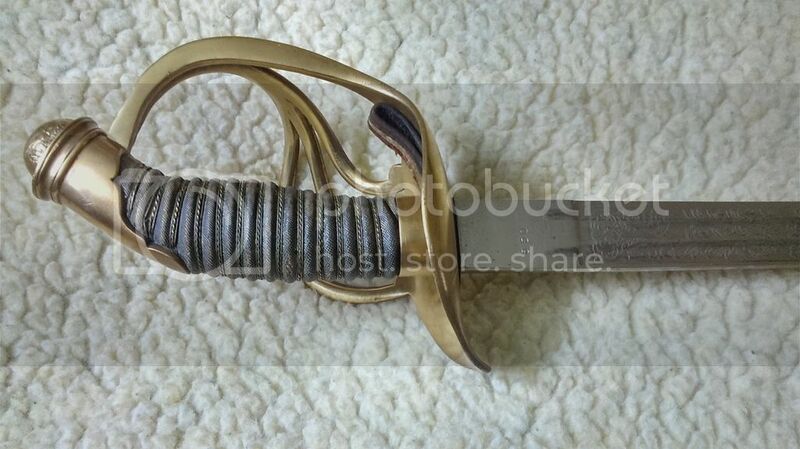 In 1890 changes were made to the model 1860, the blade was shortened and the lower scabbard ring was removed. Trooper and officer extra-pallasch (purchased for their end of military service) following 1880 were much like the Prussian model of the same year but the pommel caps were more ornate and crowned at the cap. The knuckle-bow was connected to 2 rather than 3 sidebars. The grips were made of fishskin. 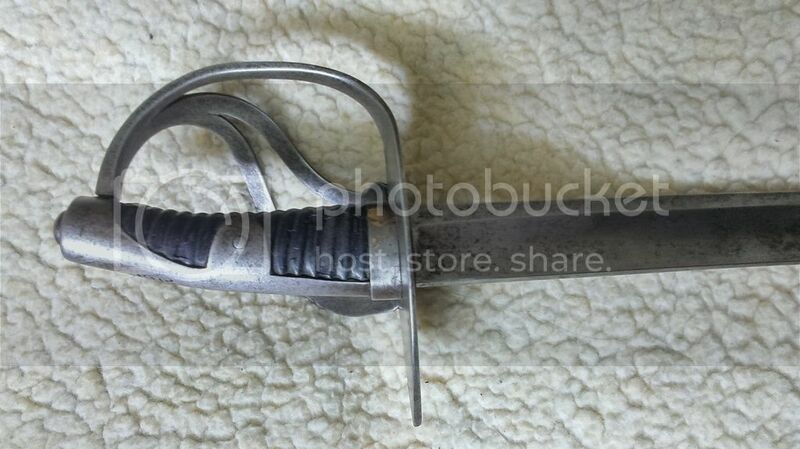 The state of Wurttemberg also made a cavalry sword that followed the same lines as the Bavarian 1826 sword but with the addition of side rivets to give more solidity to the sword. This model remains very scarce and documentation is very rare. Another nation strongly influenced by the Napoleonic wars where it played a key role in Napoleon’s defeat, Spain was in a strange situation where it was a former ally to France from 1804-1808 before turning into a bitter enemy. Despite this some Spanish troops were still under direct French control and thus fought for/with them (most notably in Russia). During the time it was allied with the French, this nation was supplied with its weapons and equipment and could notice their efficiency compared to the more archaic 1796-1803 models. Starting in 1814 heavy cavalry swords were created but unlike other nations these Spanish models made changes to the usual shape and form of the hilts and blades so each model was different from the previous one and this gave the Spanish swords a particular touch that made them stand out in the world of broadswords/pallasch. The cuirassier style model was done in 1814, when the war ended and reforms were awaited for the following year. 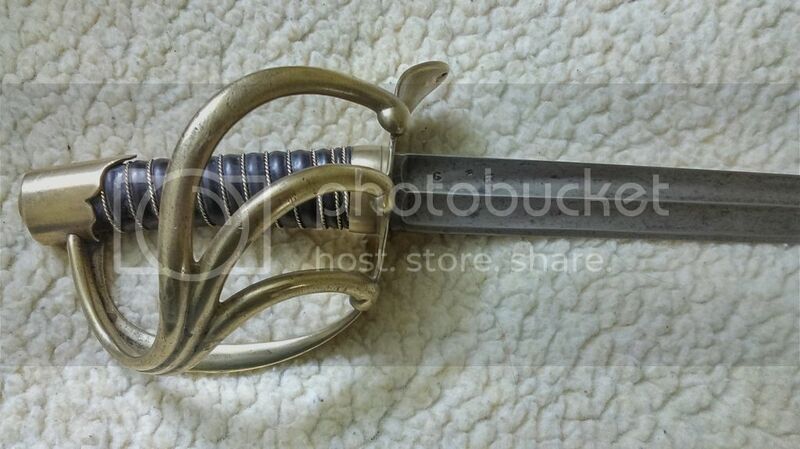 Until then the standing dragoons regiment were given a special sword that was ironically called (and even marked on the scabbard throat) the French model (sable de dragones a la Francesa). 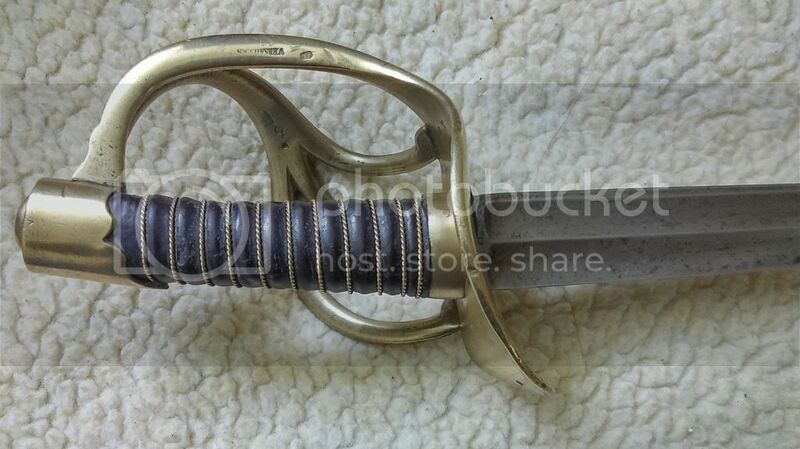 The particularity is that this sword had a form never seen on other models of that type; it had a full backstrap, the ferrule was reduced almost completely & its pommel cap was also different, looking much like the French 1816 that came 2 years later. The blade was also different (no fuller, hexagonal shape & double edged) and was some sort of compromise with the older system from the previous century. 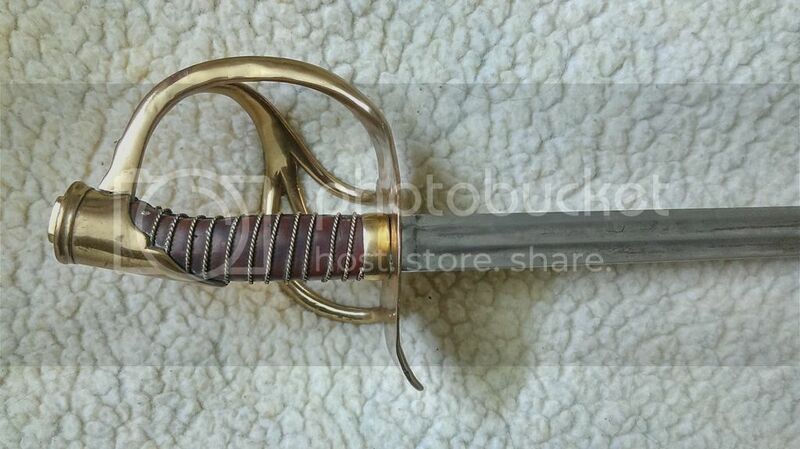 The scabbard, much like the French dragoon system, was made of leather with brass fittings. 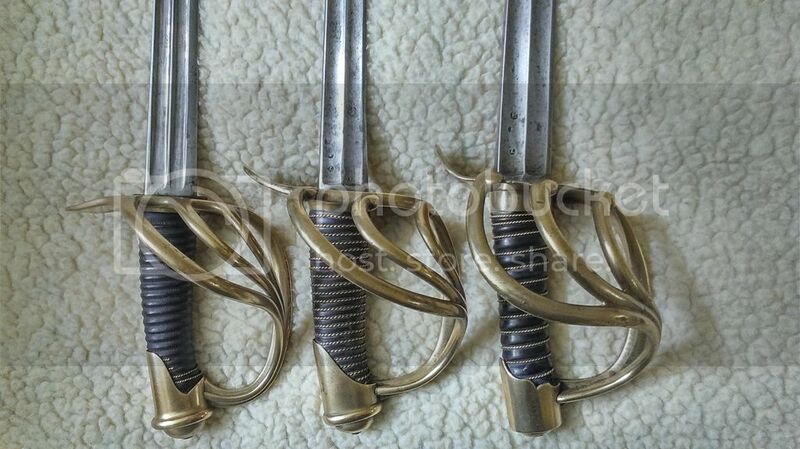 The following models 1815, 1825 and 1832 were basically the same sword but with different types of blades as a result of testing and evaluating the swords' performance. Getting back to the traditional cuirassier form, the model 1815 had the double-fullered blade, no backstrap and the same kind of barrel shaped pommel; the ferrule also returned to its initial form. The grip was done with many more wire turns and it was not uncommon to see the grips made of checkered horn on officer models. The shape of this model is the same as the model 1815, only the form of the blade changed. The double fuller gave way to a standard single fullered blade but that halted at the middle of the blade. the last of the ''trilogy'', the 1832 model reverted to the old blade system of the previous century and encountered on the model 1814. The officer model had a different smoother pommel as well as a a blade where both fullers ran on the side rather than at the center of the blade. Elite units had special swords given to them and these were also influenced by the French weapons these were the Household Guard Cavalry model 1816 and the Guard Horse Grenadiers model 1824. The 1816 model was mainly a more refined version of the pattern 1815as seen in the quality of the fittings (especially the ferrule and pommel cap) as well as the wire grip turns. The blade was single fullered. The Grenadier sword was the same as the 1816 sword but with the added grenade symbol on the branches to identify its allegiance to the special regiment. The officer versions were even more elegant and had a crowned pommel cap and adorned scabbard to attest of their special status. This concludes the overview of the cuirassiers pallasch. I hope you have learned something today about this fascinating pattern and enjoyed gazing at the beauty of its offsprings. Excellent article. Thank you for taking the time to post this. I learned a lot. Yes, excellent. Should be a sticky. I needed this badly. Thanks Pino! I was looking for images on google and I stumbled upon this old post. Perhaps an admin could pin it to the top of the section as reference material? I asked Adrian Jordan to sticky this post. It is indeed very important and I am flabbergasted that it slipped down the digital black hole. I hope it works out. Hurrah! Adrian made it a sticky. He tells me the post might have become unstickied during the cleaning out hin und wieder. Anyway, I am glad it is up and will stay up. Did he stick em' with the pointy end? Anyone know why pino left? :( very saddening to know we won't get more articles like this. Thankfully we have Dave and Uhlan. It looks like he is shifting a lot of his swords on SFI and myarmory, so maybe its time to get out of the business? 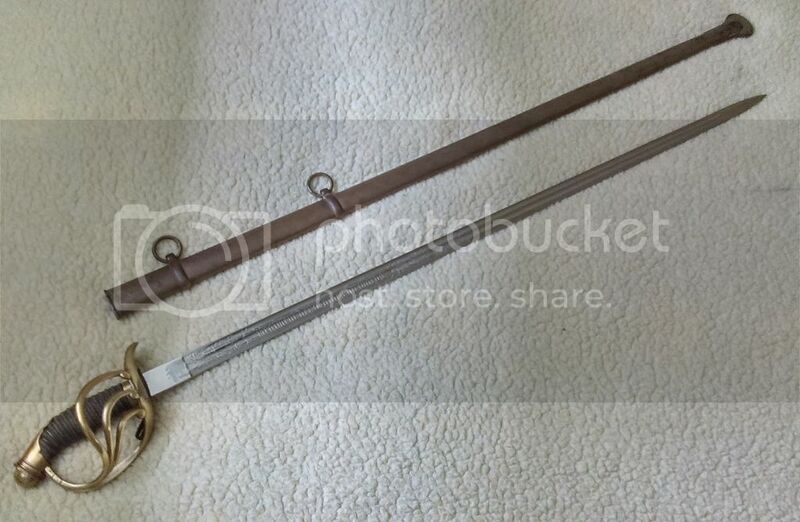 I have the Bavarian and Saxon heavy cavalry swords, and if you wish, I can add them to this post. That'd be awesome, I've seen and heard very little about swords from Saxony. Also,thanks for the added info about my Austrian. 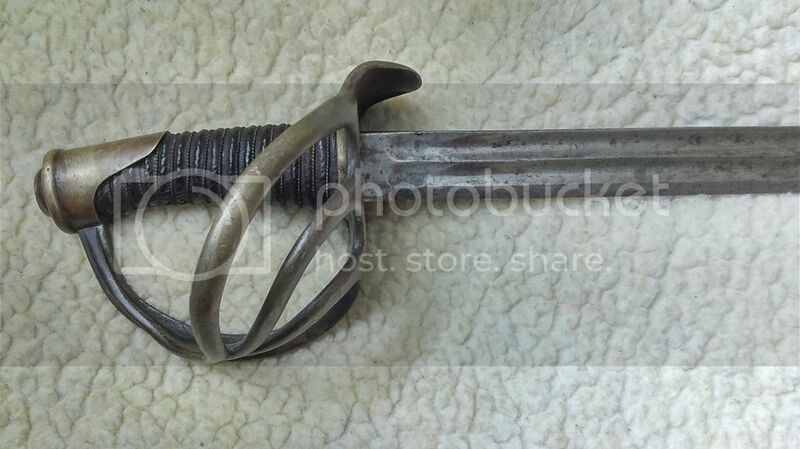 Saxon Garde Reiter, Mannschafts Saebel, Private Purchase, marked for the reserve Troop/Eskadron, "5"
Not a common item, rarely even found for sale, I had been looking since 1970, and recently found this one. This is as rare as the Russian Form Prussian Kuerassier Palasch, if not more rare. Two Bavarian Paloschen, one with 3 branches and one with 4 branches. Both are Officers' models, not Troopers'. How do I know, you ask?? 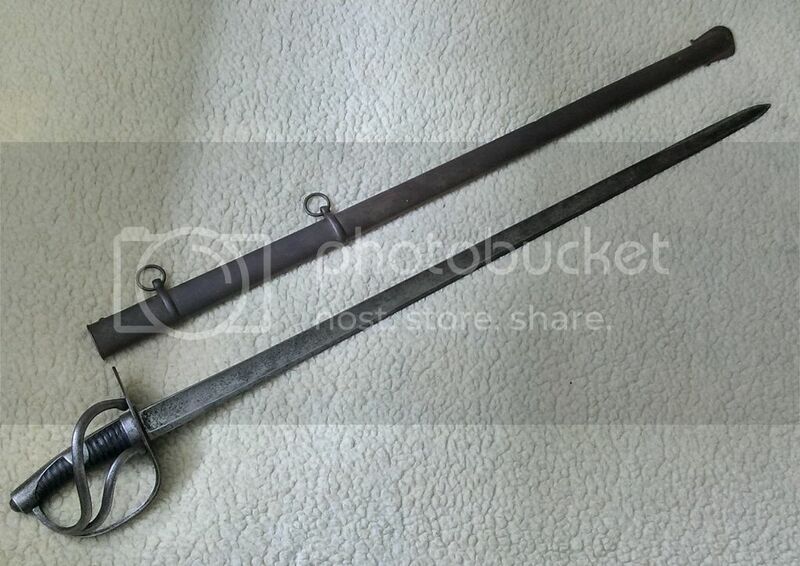 Both have the prescribed motto on the blade; "IN TREUE FEST" The enlisted schwein were not required to have this on their blades, only the exaulted class!! Someone once said that the three branch was from one of the Schwerer Reiter Regts, but he could not say which, and the other was from the other Regts... I just do not know, but it is interesting to see the variation in Bavarian edged weapons...They were as varied as Prussia when it comes to Extra Waffen, which were of course, privately purchased and not provided by the State.. 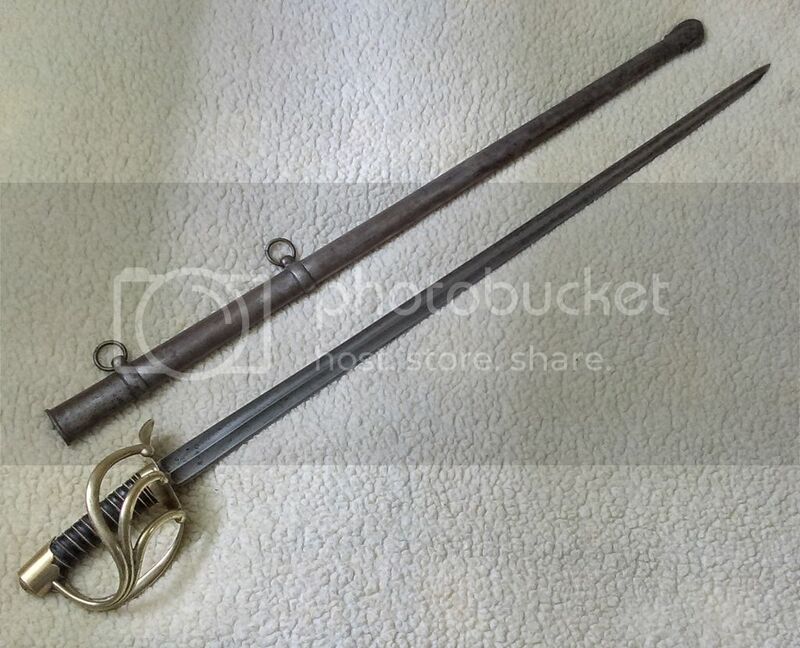 Note the top example in the first pic, has the typical Bavarian rings, the other has the system used by everyone else, with an actual ring on the scabbard...Once again, I have no information as to why, just that Bavarian weapons like these, show up with all kinds of variation. Both of these are before 1892, when the Kaiser and his staff decided to remove the lower ring. 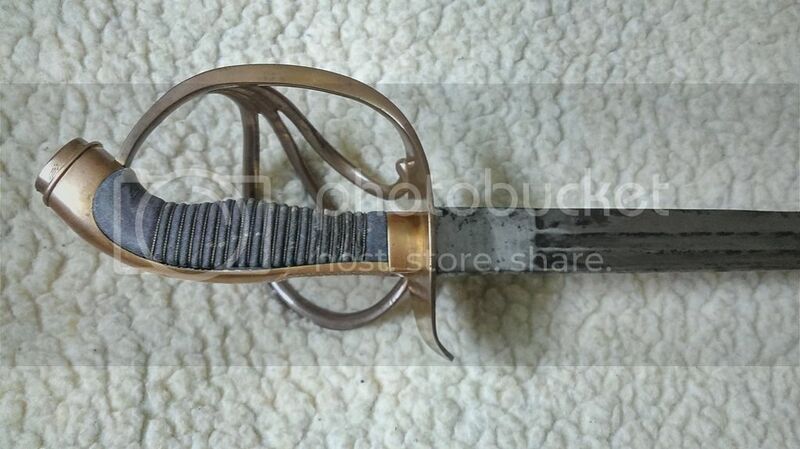 In 1902, they ordered the blackened scabbards, so this is a way to date these weapons. This change only affected mounted troops, the Infantry Officer's Degen followed, but a bit later with the ring removal and blackening. One would suppose that the 3 branch guard was the French style, and the 4 branch, Prussian...?? The 4 branch looks similar to the 1822 line cav from France - I believe that is where the style may originate from but I could be mistaken. We will see something similar again in 1882 for their infantry swords. 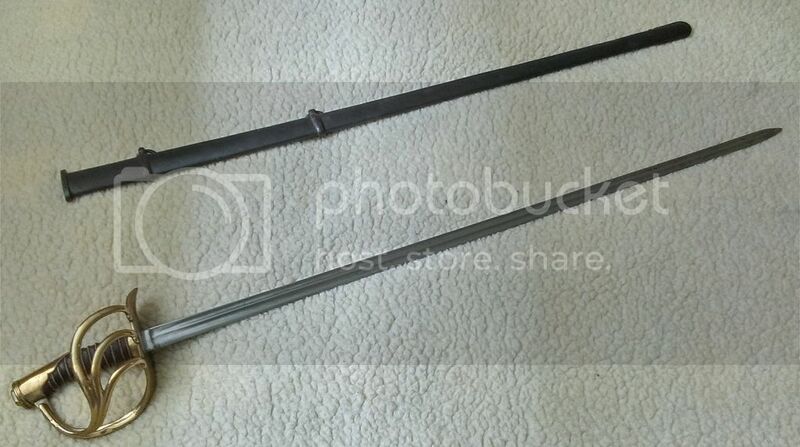 Whats the blade length on these things, if you don't mind me asking?